Ever hear about how the USSR would produce superhuman athletes that would dominate the competition in the '80s? Well, Galina Chistyakova was one of 'em. One of the best in fact. 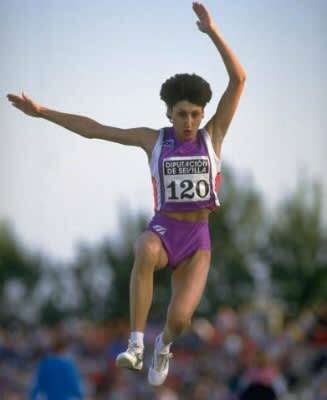 Her long jump of 7.52 meters back in 1988 still stands as the women's world record today. Props to her but records are meant to be broken, how many more months till the 2012 Games in London? U-S-A! U-S-A!